Consumers Legal Protection Forum and Consumer VOICE has written a second round of letter to the Assam Chief Minister Sarbananda Sonowal, State Health Minister Himanta Biswa Sarma and the State Health Secretary urging them to ban e-cigarette in the State on the lines of Tamil Nadu. Consumers Legal Protection Forum has been working on tobacco intervention for many years in collaboration with Consumer VOICE – a New Delhi based consumer rights NGO. The letter mentions about the recent advisory issued by the Union Ministry of Health and Family Welfare asking all states and union territories to ban the sale of e-cigarettes. According to Global Adult Tobacco Survey report 48.2 per cent of adults in Assam consume tobacco in some form or the other in which 62.9 per cent constitute male and 32.9 per cent female. Since e-cigarettes are being used to lure youth in the form of nicotine addiction who then slowly gravitate towards tobacco cigarettes this ban is urgently needed. Earlier considering the harmful effects of electronic nicotine delivery systems (ENDS), commonly known as e-cigarettes, states of Bihar, Punjab, Maharashtra, Kerala, Karnataka, Mizoram, Jammu & Kashmir and Uttar Pradesh have already banned them. 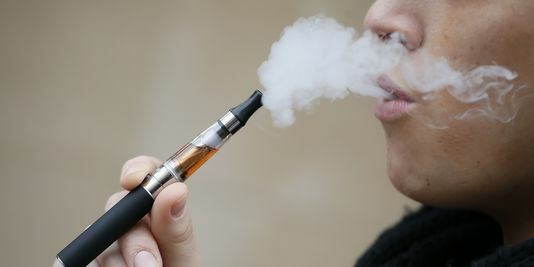 Youngsters are being lured towards e-cigarettes by projecting them to be a “healthier” alternative to traditional cigarettes but this is not true. People get addicted to nicotine present in e-cigarettes which has harmful consequences in the long term. Electronic cigarette is a battery-powered vaporizer which simulates the feeling of smoking, but without burning tobacco.